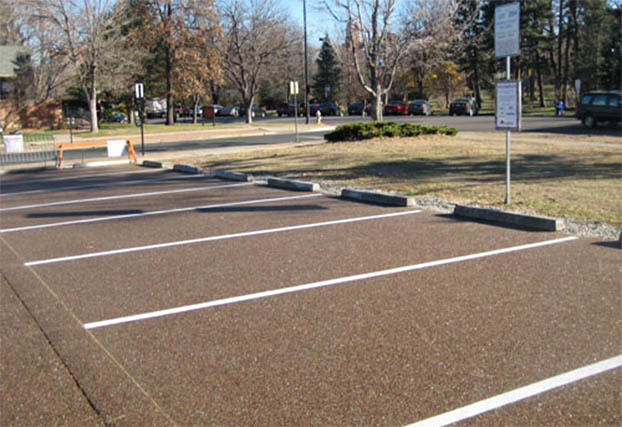 The FILTERPAVE™ system is the newest green evolution in hard-surfaced porous pavements, with features, performance and environmental benefits that vastly surpass standards for pavements of its kind.The FilterPave porous pavement system is truly in a class by itself. 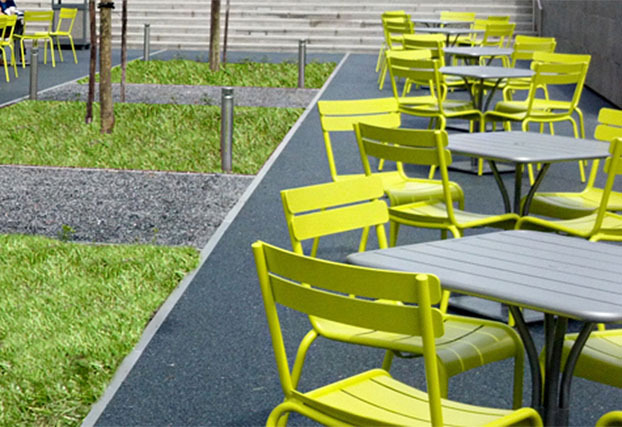 With architectural aesthetics, the FilterPave surface is an attractive and colorful mosaic of recycled variant-colored glass & stone bonded with a high strength natural binder. 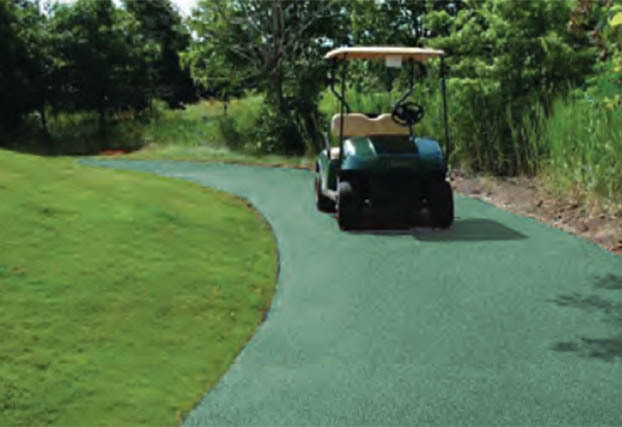 Color varies by region and optional color enhancements are available. 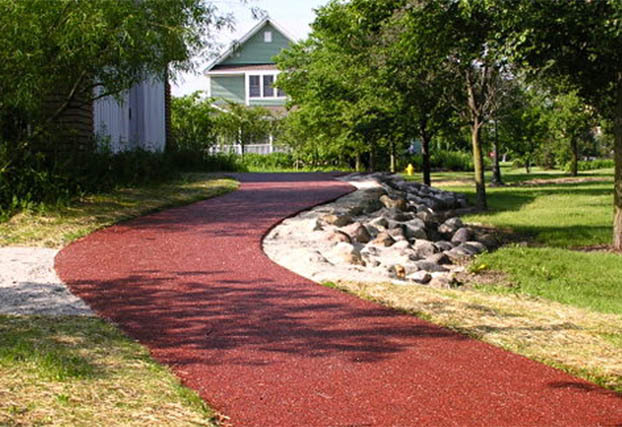 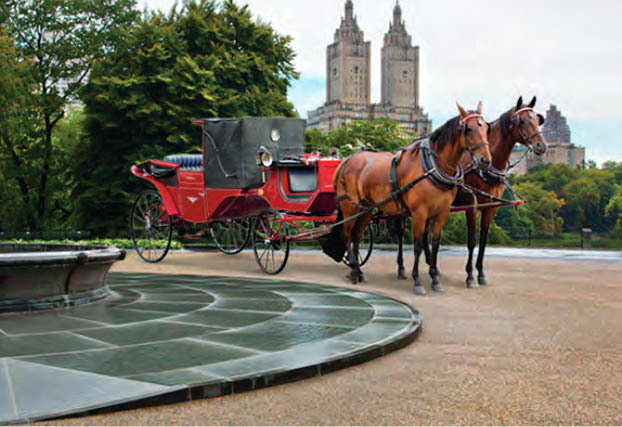 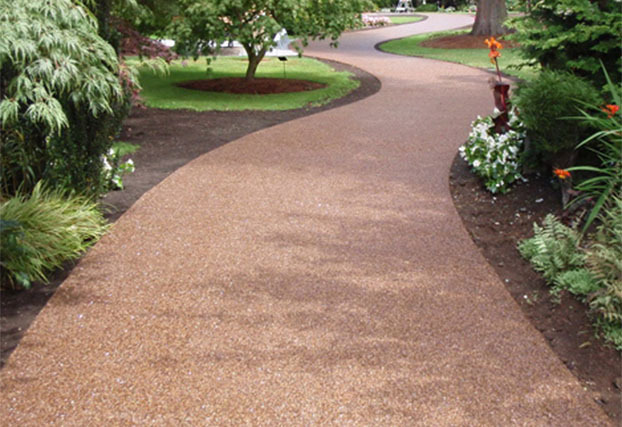 FILTERPAVE ® is a poured-in-place mix of recycled 100% post-consumer recycled glass, regionally-sourced stone or glass/stone combination that is bonded with a proprietary BASF ® polyurethane elastomeric binder. 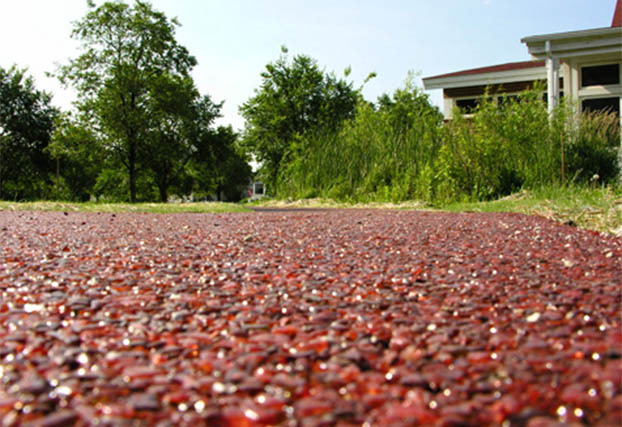 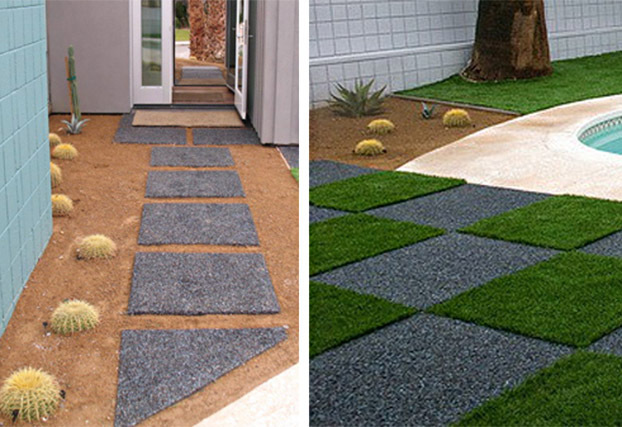 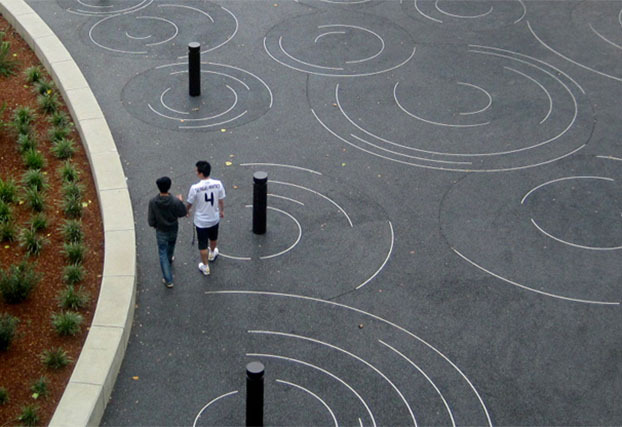 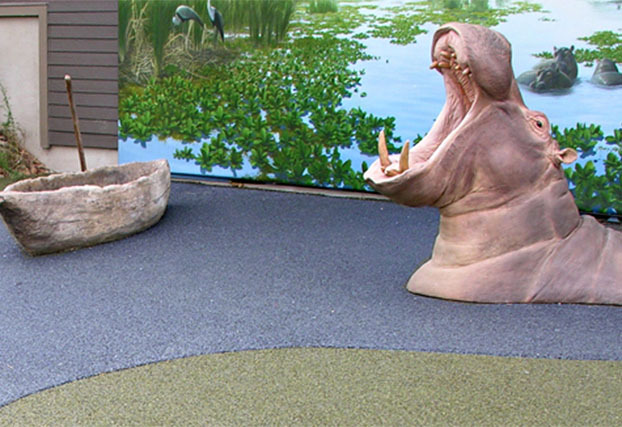 The result: a unique porous paving surface that is versatile, beautiful, flexible and durable.